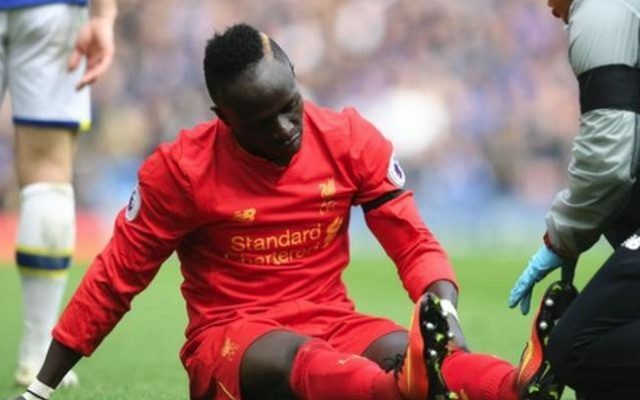 Liverpool have been dealt a huge blow as Sadio Mane has been ruled out for six weeks after sustaining a hamstring injury on international duty. As per the club’s official website, the Senegal international suffered the setback in the 2-0 win over Cape Verde on Saturday, and will now certainly miss Saturday’s encounter with Manchester United as well as several other key fixtures in the coming month or so. It’s a painful blow for Jurgen Klopp and Liverpool as a whole as the forward has been a pivotal figure in their more recent success. After bagging 13 goals and eight assists in 29 appearances last season, he’s scored three and provided two assists in nine outings this year. Naturally, as expected, Liverpool fans have been left absolutely gutted by the news as they appreciate how important Mane is to the team and what his absence means for them moving forward. The likes of Philippe Coutinho, Mohamed Salah and Roberto Firmino will have to step up now and ensure that they don’t miss him too much, but time will tell if they can as Liverpool have to improve on their form prior to the international break where they struggled and slipped down to seventh in the Premier League table.